Here at Go Vertical we pride ourselves on making your event as hassle free as possible by taking care of everything you need from equipment to event supervision and more. You can rest assured our equipment, image and service is second to none. 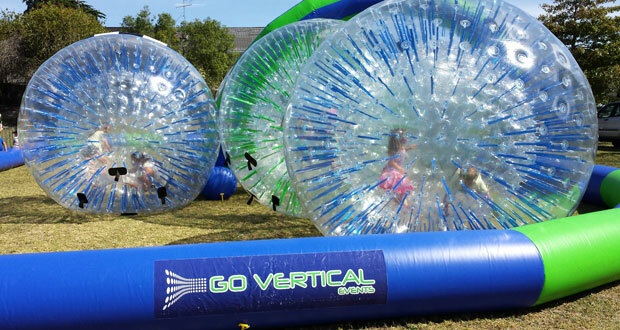 Go Vertical Events is a Kiwi owned company. Our beliefs centre around family fun through physical and mental activities and challenges. Our focus is very much health orientated, all of our experiences are “active” as opposed to “passive.” By active our participants have to take part in our activities, they make the experience happen, rather than allowing the experience to just take place. Whilst we are a business, unlike other companies, our prime focus is safety first. As such, all our gear comes fully staffed by trained and competent members of staff, versed in all aspects of the equipment’s operation. We will not compromise safety purely to chase profit.